Based on reviews from 640 experts and 103,583 users. Learn how our rankings work or see our guide to Nike running shoes. Updated Apr 2019. Nike running shoes are among the most popular running shoe models on the market today. Whether you choose to get a pair for daily training, performance running or racing, there is surely a pair or two that will satisfy your needs. The brand is committed to creating innovate shoe technologies to keep performance at par with the high standards of professionals and expectations of beginners. Nike's wide selection of men’s and women’s footwear is not just proof of the brands decades of presence, but also how versatile it is when it comes to keeping athletes prepared for every sport or activity, particularly running. For years, its shoe models deservingly get awards, high ratings and great reviews from running magazines, organizations, and runners worldwide. 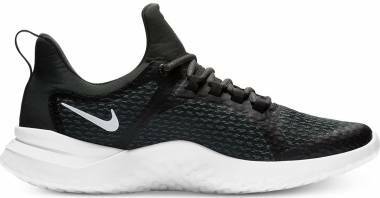 In terms of performance, comfort, and style, Nike does not disappoint in delivering top-notch collections that eventually find their way in more or less 100, 000 shoe reviews from the running community. Runners, whether beginners or seasoned athletes, already consider Nike as one of the go-to brands when it comes to performance footwear. Nike FlyEase - The FlyEase is a smart invention that sets the standard of lace-free running. The design facilitates an easy on and easy off of the shoe. Nike running shoes with FlyEase locking system, like the Nike Air Zoom Pegasus 34 FlyEase, still offers a secure foot lock-down. Runners will still have the confidence while wearing the shoes on the court or on the street. The FlyEase is commonly seen on several Nike basketball shoe models. Nike Shield - Nike Shield is a treatment which prevents water from entering the shoe when running on rainy or wet conditions. It also offers additional foot protection on windy or cold weather without affecting ventilation. Check out Nike Air Zoom Pegasus 34 Shield and Nike Air Zoom Structure 21 Shield to know how this technology works. The Shield technology is also used in several Nike outdoor clothing and gears. 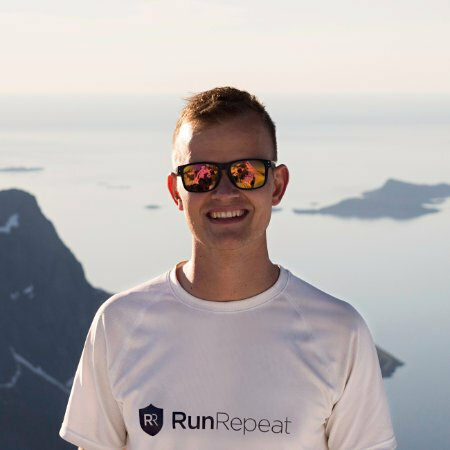 Aside from Nike, brands like Adidas, Brooks, New Balance, Asics, and Puma are also known in the market because of their performance-driven road running shoes. These brands also offer running shoes for neutral runners and overpronators as well as marathoners and trail joggers. What sets each other apart are the technologies they are using. Each brand has its own set of innovative technologies that enhance the running experiences of every athlete. Aside from breathability, the upper of the Nike running shoes also offers flexibility and support. Nike makes use of different upper elements, such as mesh, fabric and synthetic materials. These elements provide different levels of breathability, comfort, and elasticity. Mesh - Maximum breathability and comfortable in-shoe feel are often delivered by the mesh upper material found in some of the Nike running shoes. The Air Zoom Pegasus 34, for example, is equipped with a newly-engineered Flymesh technology. The upper material has bigger perforations for proper ventilation, and it wraps the foot seamlessly for comfortable support. The mesh coverage is also found is the Nike Flex RN 2017, Nike Air Zoom Elite 9, and Nike Air Max Advantage. Knitted Fabric - The Flyknit upper material is used in popular Nike running shoes such as Nike LunarEpic Flyknit, and Nike Air VaporMax Flyknit Moc. It offers soft and breathable coverage without affecting its flexibility. The knit conforms to the natural shape of the foot for a comfortable, sock-like fit. Aside from the popular Max Air and Zoom Air cushioning, below are some of the reliable Nike midsole technologies. Running shoes with these technologies offer reliable underfoot protection, responsive cushioning, and comfortable in-step feel. EVA - The Ethylene Vinyl Acetate (EVA) is considered as one of the inexpensive midsole foam used in most athletic shoes. It is still responsive and offers reliable underfoot cushioning but not as durable as other innovative midsole technologies. Nike running shoes with EVA foam are typically affordable and lightweight. Phylon - Made from EVA foam pellets, Phylon offers lightweight and responsive cushioning. Nike is also using Phylon as a base material for its Lunarlon technology. This midsole foam is also used in some Nike lifestyle shoes. Lunarlon - Compared to the standard Phylon foam, the Lunarlon is 30% lighter. It distributes impact evenly and provides the much-needed foot protection. When paired with Phylon foam, the result is a bouncy feel without affecting stability. Cushlon – Cushlon is a combination of Phylon and rubber elements. Nike running shoes with Cushlon foam offer responsive and bouncy feel. It is lighter compared to standard midsole foam and very durable as well. The outsole of the Nike running shoes is built with durability and flexibility in mind. The outsole design offers traction for varied surfaces and added cushioning for protection and responsiveness. Below are the outsole materials used by Nike. BRS 1000 Carbon Rubber - It is a combination of durable synthetic and carbon rubber. The combination of these elements will result to a more durable outsole construction. The BRS 1000 provides shoe longevity by protecting high-wear areas from abrasion and other damages. The Air Max Tailwind 8 uses this kind of outsole compound together with the mesh upper and the full-length Cushlon cushioning. Duralon Blown Rubber - The Duralon is blown rubber material strategically placed in the forefoot of the Nike running shoes. It is softer compared to the carbon rubber, but it offers added responsiveness for a smoother ride. Because of its soft nature, the Duralon Blown Rubber is less durable. This material is used in the forefoot of the Nike Air Zoom Structure 21 as well as in other Nike athletic shoes. Waffle Outsole - Since its debut in 1974, the waffle-inspired outsole is continuously being used in men’s and women’s Nike running shoes. The shoe offers reliable traction on varied paved surfaces. It also offers durability and added cushioning. The Waffle Rubber outsole is found in the Zoom All Out Low and other running kicks from Nike. To get the right shoe, you need to determine your running style. You need to know if you are a neutral runner, overpronator, or an underpronator. You can identify your running mechanism by doing either a wear test or wet foot test. Neutral – Neutral runners have a normal arch, and they can run in a wide variety of shoes. When running, they land with their heel and roll towards the toes. As their arch collapses inward, the impact is absorbed, relieving the pressure in the joints and knees. 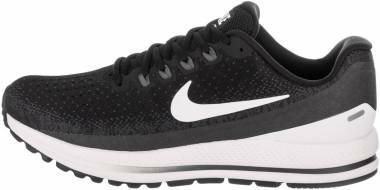 Some of the well-performing Nike running shoes for neutral pronators are the Nike Air Zoom Pegasus 34, Nike Zoom Fly, Nike Flyknit Racer, and Nike Free RN 2017. Overpronators - Overpronation happens when the foot rolls inward extremely. Overpronators need motion-control or stability shoes to minimize knee and joint pains. Stability shoes have pronation control and excellent support features. A runner who pronate excessively should give the Nike Air Zoom Structure 21 a try. Underpronators - The other term for underpronator is supinator. Supination occurs when the foot rolls in an outward motion. Underpronators’ feet don’t flex too much, and as a result, their landing will be very hard and dangerous. There are only a few runners who supinate, and they need running shoes with maximum cushioning and flexibility. There are Nike athletic shoes for road or trail running, and since they have different design and features, you need to identify the surface you will run in. Remember, you cannot use a road running shoe on rough, uneven trail surfaces. Trail running shoes - Nike trail running shoes are built with maximum foot protection and traction. As a result, they are heavier and bulkier. Since they are trail-ready, runners can use them in varied trail surfaces. The shoe is also more durable compared to the average road running shoes. To get the right fit, you need to determine your size. Most of the Nike running shoes, sneakers, and trainers are available in medium width with sizes ranging from 6 to 15 (half sizes available). There are a few that are available in wide and narrow widths. Below are simple steps to measure your feet. You will need a blank paper, tape, pen or pencil, a ruler, and of course, someone to draw the markings. Since the feet naturally swell during the day, get the measurement in the afternoon. Wear the socks that you will wear with your Nike running shoe. On a hard surface, tape the blank paper to the floor. Stand straight with your heel against the wall and place your feet on top of the blank paper. Ask someone to mark the longest part of your foot (longest toe). Do this for both left and right feet. Use a ruler to measure the heel-to-toe length (the distance from the heel to the longest part of the foot). There are affordable and expensive Nike running shoes. Among the expensive models are the Nike Zoom Vaporfly 4% and the Nike Air VaporMax Flyknit Moc that retails at $250 and $200, respectively. On average, you can purchase a reliable Nike running shoe between $80 and $110. You don’t have to worry if you are getting an affordable pair. Based on a study, expensive running shoes are not better compared to the cheaper ones. The key is to get the best running shoe that fits your need at the price you can afford. Nike Waffle Trainer (1974) – The Waffle Trainer is the first running shoe designed by Nike. The shoe features a waffle-inspired sole unit that also helped make Nike into what it is now. During its time, the shoe became the best-selling running shoe in the US. Until today, the waffle-inspired sole unit is still being used in some of the Nike’s athletic and lifestyle shoes. Nike Air Huarache (1991) - The running shoe was originally released in 1991, and it was equipped with innovative technologies including the “Huarache Fit”. Inspired by Mexican sandal called Huarache, the shoe has a very clean, simple look. The Nike Air Huarache utilized the stretch grip neoprene and Spandex materials in its upper to provide that notable foot-hugging fit. Nike Air Pegasus 92 (1992) - The original Nike Air Pegasus model was first released in 1983. It features a nylon upper with a very simple design. It is now the longest-running shoe series from Nike, and it continues to deliver better performance on the road. The newest version of the Pegasus never lost its simple, clean-cut design. Nike Free 5.0 (2004) - Nike was then able to make a running shoe that changes everything. The Nike Free model is a minimalist running shoe that follows a scale of 0 to 10 (10 as normal running shoe and 0 as barefoot running). There are several Nike Free variations – the Nike Free 3.0 (least cushioned), Free 4.0, and Free 5.0. A newer version of the Nike Free 5.0 was released in 2006 with improvements in the design and performance. Nike Flyknit Racer (2012) – The Flyknit Racer is a Nike running shoe designed for marathons. The shoe has a lightweight design with a knitted upper and waffle-skin rubber outsole. Aside from being a performance running shoe, the Flyknit Racer is also popular as a lifestyle sneaker. Nike Zoom Vaporfly 4% (2017) – This shoe features Nike’s new midsole technology, the ZoomX foam. The ZoomX is the answer to the Boost technology of Adidas. This cushioning offers 85% energy return for better performance. The Nike Zoom Vaporfly 4% is road running shoe designed for neutral running mechanism. Adidas - Adidas is one of Nike’s top competitors. The brand offers a wide range of running shoe for trail and road running. They also have running shoes for daily running and competition. Some of the popular running shoes from Adidas are the Adidas Ultra Boost, Adidas AlphaBounce, and Adidas Duramo 8. Adidas is also a popular brand when it comes to training and lifestyle shoes. Reebok - Most of the Reebok running shoes are made for road running. These shoes are not as popular as Nike’s and Adidas’, but they still continue to satisfy their Reebok fans. The Reebok Floatride Run, Reebok All Terrain Super 3.0, and Reebok ZPrint 3D are few of the well-performing running shoes. Puma - Puma is one of the leading brands for athletic and casual footwear, outdoor apparel and accessories. All Puma running shoes are designed for road running. The shoes are made from durable materials, and innovative technologies are used to give every athlete a satisfying performance. Today, the Ignite EvoKNIT is one of the best performing shoes from Puma. New Balance - New Balance is another name in the running shoe industry. Founded in 1906, the brand continues to provide runners reliable trail and off-trail running shoes. Just like the Nike running shoes, most of the New Balance athletic shoes are reliable and durable. Neutral runners should wear the New Balance 880 v7 to experience its performance-driven design. Most of the Asics running shoes are available in wide and narrow width options. Under Armour - When it comes to running shoes, Under Armour is another name in the market. Aside from athletic and lifestyle footwear, the brand is also into activewear and accessories. Under Armour is selling running shoes for daily use and competition. Beginners should give the Under Armour Micro G Assert 6, SpeedForm Gemini 3, or Charged Bandit 3 a try. Asics - Aside from running footwear, Asics is also a brand known for great-looking sneakers, training shoes and other activewear. Asics is a close Nike competitor in the running shoe market. The brand is also popular when it comes to waterproof and trail running shoes. The Gel Kayano, Gel Cumulus, and GT 2000 are few shoe models from Asics that really made a name in the running industry. These shoes are popular because of its performance, quality, and durability. Brooks - Aside from its performance-driven shoes, Brooks is also known because of its simple and appealing running footwear. Brooks offers running shoes for road and off-road running shoes such as the Brooks Ghost 10, Launch 5, Ravenna 8, and Cascadia 12. What are the most popular Nike running shoes? Nike is one of the well-known manufactures when it comes to running shoes. The brand has created shoes that really give satisfaction to its users. Some of the popular Nike running shoes include the Nike Air Zoom Pegasus 34, Nike Flex RN 2017, and the Nike Air VaporMax Flyknit. What is Nike’s first shoe? Nike’s first running shoe, the Waffle Trainer, debuted in 1974. It was in 1971 when Nike’s co-founder, Bill Bowerman, realized that a waffle iron would be a great mold for the outsole of a running shoe. The shoe is responsive and performs fairly on uneven surfaces. Different versions of the shoe were invented following its success. The waffle-inspired sole has been modified as well to perform better and has been used in various Nike footwear. Can I use my Nike road running shoe on trails? Yes, but on a specific trail surface. Nike road running shoes will work on smooth, groomed trails. But since road running shoes offer lesser underfoot protection and have lightweight outsole, using these shoes on uneven trail surfaces is not recommended. Do not make your road running shoe a go-to trail footwear. What is the difference between Nike Free 5.0, 4.0, and 3.0? The Nike Free shoes offer flexibility and the benefits of minimalist running without affecting the overall support and cushioning. These three Nike Free running shoes feature, more or less, the same technologies, but they differ in the amount of cushioning. Following a scale of 0 to 10, the Nike Free 3.0 is the least cushioned shoe and offers a lesser amount of support compared to the 4.0 or 5.0 version. All these three, however, offers close-to-barefoot feel. What are the best Nike running shoes for competition? There are several Nike running shoes designed for races and full marathons. These shoes are lightweight, responsive, and comfortable to wear. Some of the reliable Nike running shoes for competition is the Nike Zoom Fly, Nike Fyknit Racer, and the Nike Flex RN 2017. What are the best Nike running shoes for beginners? Nike LunarGlide 9, Nike Air Zoom Pegasus 34, and Nike FS Lite Run 4 are ideal for beginners. However, you still have to remember that you need to pick the right shoe that fits your running needs. Nike LunarGlide 9 - The LunarGlide 9 is a reliable running shoe for beginners. The shoe uses a Lunarlon cushioning for responsive and comfortable feel. Other materials incorporated into this stability shoe are the Flywire cables, Dynamic Support, Crash Pad, and Jacquard-style mesh. Nike Air Zoom Pegasus 34 - The Air Zoom Pegasus is a very popular model. The 34th version features an updated upper with a modified outsole and midsole. The shoe offers good amount of responsiveness and flexibility. The Pegasus 34 is designed for neutral runners. Nike FS Lite Run 4 - This road running shoe with a 3mm heel-to-toe drop is ideal for daily training. It has a very simple and minimalistic design with supportive upper. The FS Lite Run 4 is a lightweight running that offers an average amount of cushioning. After how many miles should you replace your Nike running shoe? Most of the Nike running shoes are made from reliable materials with durable technologies that would last for more than 300 miles. Ideally, you can use your running shoes between 300 to 500 miles. After that, you should consider replacing them with a new pair. If you are an average runner, you should buy a new pair of Nike running shoes every 6 to 8 months. Is Nike’s ZoomX Cushioning better than Adidas Boost? The ZoomX functions like the Adidas Boost technology. Running enthusiasts even mentioned that the ZoomX is Nike’s answer to Adidas Boost. To determine if ZoomX offers better performance than the Boost, it is better to describe each technology separately. Nike ZoomX - It is a brand-new midsole foam engineered by Nike for a more responsive running experience. The foam is significantly lighter compared to a regular Phylon or EVA foam. The ZoomX would make running more efficient without sacrificing comfort and cushioning. This midsole foam is found in the Nike Zoom Vaporfly 4% and Nike Zoom Vaporfly Elite. Adidas Boost - The Boost is one of the Adidas’ innovative cushioning technology. The Boost foam offers high energy return for a more satisfying and consistent run. It has a lightweight design and durable enough to last miles after miles. To date, the Boost Technology is being used in several Adidas running shoes and sneakers. Given these short descriptions, both techs are built for the same purpose. Only the wearers can determine which technology performs better because each runner has its own preferences and standards. Can I buy a waterproof running shoe from Nike? No, Nike is not selling waterproof running shoes, but they have water-repellent footwear like the Nike Air Zoom Pegasus 34 Shield, Nike Air Zoom Structure 21 Shield, Nike LunarGlide 8 Shield, and Nike Free RN 2017 Shield. These shoes are built for road running, and the upper are treated with DWR or durable water repellent coating. It protects the foot from getting wet without compromising breathability. If you want to buy a reliable waterproof running shoe, you should try Salomon, The North Face, and Asics.